SET IN THE REMNANTS CHRONICLES WORLD OMG OMG OMG.THANK YOU MARY PEARSON FOR GIVING US MORE OF THIS WORLD! 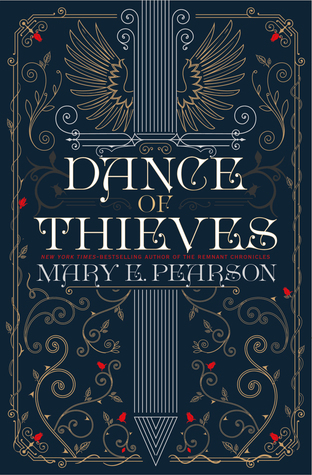 Set in the universe of Pearson's Remnant Chronicles Are you playing with my emotions, Mary? Are you? ARE YOU??? I DIDN'T KNOW ABOUT THIS AND NOW I'M DYING! Set in the universe of Pearson's Remnant Chronicles!!!!!!!!!!!!!!!!!!!!!!!!!!! !2018 cannot come soon enough! HOW AM I JUST NOW SEEING THIS??? GIMME DIS! OMG I need it right know!! So, I'm seeing a lot of star ratings for this that were posted long before ARCs were even available and I feel like giving it a five-star rating just to counterbalance the one- and two-star ratings that are based on...what, exactly? But, that wouldn't be completely honest, and I do try to be (mostly) completely honest with my ratings and reviews.While this does take place in the same universe as Pearson's Remnant Chronicles, it takes place several years later and features completely different characters, so familiarity with the prior trilogy isn't necessary to understand and enjoy this one.I loved Kazi and Jase and their contentious relationship and the slow dawning of trust between them. And then I loved when secrets that had been known to the reader were brought to light and that trust was shattered and they had to figure out whether they could rebuild it or it was gone forever. Really, for me, all the danger and adventure and intrigue and political machinations took a backseat to the relationship between Kazi and Jase. I'm sure all that other stuff will be really important for future books and it may even be what other readers like most about this book, but I'm gonna keep showing up for Kazi and Jase. YES, MORE OF THE REMNANT CHRONICLES WORLD. Excitement Level: give it to me. "Set in the universe of Pearson's Remnant Chronicles" Super excited to read more from Ms. Pearson. GIVE IT TO ME! NOW! I NEED IT! I NEED THIS BOOK IN MY LIFE. LIKE RIGHT. NOW. I didn't love the Remnant Chronicles, and I HATED The Beauty of Darkness, but will I read this anyway? Probably. Mary E. Pearson - I suppose I have always been enamored with story and character. My mother tells me I could be the most annoying little kid, waking up each day as a new character. Every morning she would have to ask me "who" I was for that day, because unless properly addressed I refused to answer anyone. One time when I was about four years old, my parents were out shopping at Sears. They each thought the other had me by the hand when in fact I was exploring my own aisle (translation: I was lost!) Two salesladies found me and sat me on the counter, asking me my name so they could page my parents. I remember their consternation when I would only answer "Little Red Riding Hood." They couldn't shake my real name out of me no how, no way. I knew the value of persistence even then. My parents say they nearly fell over, when over the loud speaker they heard, "Would the parents of Little Red Riding Hood please come claim their child?" They knew exactly "who" was lost. These days I mostly wake up as myself, though I do seem to hang out with a lot of "characters" during the day.Usually when people mention their education in their bios they only mention their college degrees, but to me, it is just as important what happened way before that. Wow--second grade! I will never forget Mrs. Alsenz. Boy, could she tell a great story! She would make them up and pretty soon have a classroom of wiggly kids exuberantly telling stories right along with her. And then there was Mrs. Bonsey in fourth grade. She always praised my writing and made a shy little girl feel like she might actually excel at something. And finally in twelfth grade came Mr. Kirk, crusty on the outside with a heart of gold on the inside, who loved the English language and taught his students to do the same. (Hey, Mr. Kirk, do you see me waving at ya? )Later I went on to get a BFA from Long Beach State University in art. I worked for a time as an artist then started the most challenging job of my life--motherhood. Holy smokes, no one told me there would be no coffee breaks. But it is the most rewarding job I have ever had (watch out--I'll start dragging out the pictures) Still later, I went to San Diego State University where I received my teaching credential. I went on to teach many different grades but it was my second grade students who pushed me back into writing. During Writing Workshop I would sit with them and write, loving the process, loving the stories, and lo and behold deciding I would love to return to my first love. That's a whole lot of lovin' going on and luckily for me I was able to do just that. Not that writing is easy. I have a huge stack of rejections to prove it, but I still have enough of that Little Red Riding Hood persistence in me to keep on going.Now I write full time from my home in San Diego. My books to date are The Adoration of Jenna Fox, A Room on Lorelei Street, Scribbler of Dreams, and David v. God. More are definitely on the way.